"They probably think we're on vacation." This was what my husband said at the dinner table last night, a nice little eggplant, tomato, pepper and garlic stew topped with melted cheese and poached eggs. Just a little mix of whatever we had left in the basket. "And who would that be?" I asked, picking up the cold fresh mint tea I'd made that afternoon, by just a simple infusion of mint leaves in hot water. It is really the best thing to do with the bunches and bunches of mint being handed in two fisted bundles over the market tables these days. "The boulanger." Our boulanger. The one who thinks we're on vacation since we haven't been to buy bread in over a month. This is because I have cut wheat out of our diet for the time being. I thought about our boulanger. In the mornings, he makes his deliveries to the restaurants on a bike with a big basket, loaded with flour sacks that have the tops rolled like the cuffs of pants, and stuffed full of bread. They stack high and he pedals slowly, from one restaurant to the next. He looks all scruffy and his hair is messed up, powdered in head to toe with with a thin coating of flour, levain smeared on a pant leg. His shoes look like an afterthought, and he's never wearing socks. He looks a little bit like the Pillsbury dough boy that someone has put some clothes on, come to think of it. He jovially rides his bike along in the early morning hours with that day's first bread. We're changing our habits, but we will always buy our bread there. Even if we don't buy as much as we used to. One man told me while we whiled away some time in line waiting for this bread that he was confident that our baker made the best bread in France. Imagine such a thought, your clients are confident that you make your product better than anywhere else in the country. I haven't had any better, that's for sure. We're lucky to live so close to this baker. I looked at my husband. He was somewhere else. Staring off into space. "I'm sure they'll understand." I said. I am beginning to see some results of my time without bread. I am melting away kind of like a yearning lover. Yearning for this bread. In a few months when I go back to the baker, perhaps they'll think I am an entirely new customer. But I'll never completely give it up. Butter just isn't the same without it. hmm our boulanger makes the best bread that we've tasted in lyon...i wonder if it's the same one? we are already thinking about how much we're going to miss him when we move. how is Sissy doing? How funny, I'm reading this as I eat a baguette with butter. Are you trying to go gluten free? What a lovely simple meal. How about a guideline for making it. Amy, it is quite possible we share a boulanger but I would find it really strange that we didn't bump into each other from time to time there! I will update the post with the address of the boulanger. Tracey, no, not gluten free. But the refined wheats are out, etc. Eventually I will be working in some whole grains. I am afraid I am going to have to be very careful with the sweets. Anon, well of course, let me think about a quick guideline for making the meal. I'll post it tomorrow (Here I go making promises again). Ohhhhh... 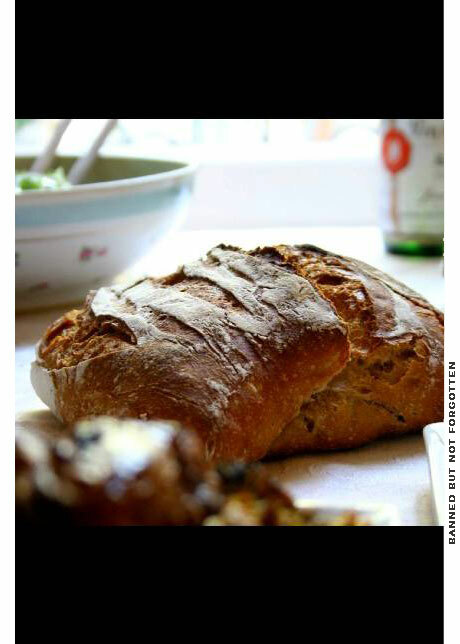 Giving up bread in France must be so much harder than here! There is no way to replicate the baguette exactly in the US. You must have wonderful willpower. It never ends, vicious cycle! Nicole, I never thought of it that way, but you might be right. All this longing for bread makes me feel like I don't have much willpower at all. Anon, congratulations on the 23 lb.loss! Katie, there you go getting all emotional about this. Now let's just wipe the tears from our eyes and continue to enjoy all of the things we have available to us, except the bread (in my case).